With all the talk about global warming and energy efficiency these days, many people have become increasingly interested in the cause of car emissions. The pollution from automobiles is one of the leading causes of air pollution and climate change. But what is it about a car engine that creates these problems? This article will explain what the cause of car emissions is and will then suggest ways in which you can help to reduce the emissions from your car. 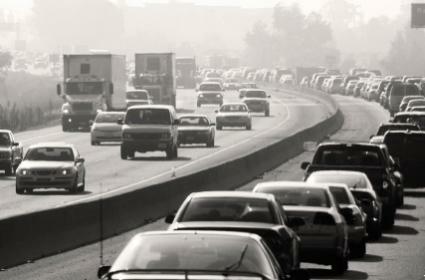 The Environmental Protection Agency has declared that driving a car is the most polluting thing American citizens do. The main cause of car emissions comes down to one factor: gasoline. When your car is burning gasoline, the pollutants such as carbon dioxide, nitrogen oxide, and other hydrocarbons escape through the tailpipe. They also escape when the heat from a running engine causes fuel to evaporate from fuel lines under the hood and some even enter the atmosphere when you are filling up your car at the pump. The pollutants cause problems when they react with the natural environment. When exposed to sunlight, hydrocarbons and nitrogen oxide create ground level ozone, the most serious of air pollutants. Nitrogen lingers in the atmosphere and can cause acid rain and water pollution. Carbon dioxide is not only a deadly gas, but it also causes heat to be trapped in the earth's atmosphere, which causes global warming. These negative effects become more and more serious as these pollutants increasingly build up in the air. Depending on where you live, your car might already be subject to laws intended to keep emissions at a low level. States like California, Texas, New York and others require cars to be smogged before they can be registered and driven legally. When you take your car in to get this certificate, a technician measures the pollutants that come out of the tailpipe. If the emissions are above a certain level, the car must be repaired before it can be registered. This is a great way to collectively ensure that no one's car is polluting the air at a dangerous level. If you live somewhere where the state does not regulate car emissions, here are some suggestions for reducing the emissions from your car. Cars that are running rough are much more likely to have high emissions. If your spark plugs are old or your timing is off your car will not burn gas as efficiently as it should. And if your car is burning oil, you have real pollution problems. The simplest way to keep your emissions under control is to get regular tune ups. This sounds silly, but your cars runs more efficiently when it has the proper amount of air in its tires. Your gas mileage will increase when your tires are properly inflated, and this will help reduce your car's emissions. This is a simple, cheap, and easy way to reduce your carbon footprint. If it is time for you to get a new car, you can really make some important decisions relating to car emissions. The buzzword these days is hybrid. Hybrid cars were a novelty just a few years ago, but the market has really started to demand more models, and the auto industry is responding. Hybrid cars like the Honda Insight, the Toyota Prius, and the Ford Fusion have become very popular, and even SUV's like the Cadillac Escalade have recently gotten into the mix. But you don't have to buy a hybrid car to reduce your emissions. Many gas cars like the Toyota Camry and the Honda Civic are now available in zero or near zero emission models as well. Whatever new car you decide to purchase, remember that if it gets better gas mileage than your old car, you will be doing your part to reduce car emissions. Society is making large strides to reduce emissions from cars, but there is still much work to do. The problem relates to the number of people on the planet. Even as emissions are reduced, more and more people are driving cars, which counteracts the positive strides that are made by the emissions reductions. Therefore, people who are concerned with this issue need to continue to pressure those in charge of public policy to remain diligent about the controlling of car emissions.